Should autism be cured? This controversial question does not have a simple answer. The autism community is divided over the quest for a cure. A large segment of the autism community advocates for an autism cure. Yet, a significant portion of the autism community focus on tolerance and acceptance. The autism cure debate starts with the medical definition of autism as a disability. The DSM IV-TR refers to autism as a pervasive development disorder. The other common medical term is autism spectrum disorder. Many individuals with autism are offended by the medical terminology and societal attitudes toward autism as a disease. To them, autism is an identity that sets them apart from the average person. Supporters of the quest for autism cures argue that the condition is a medical problem that needs to be treated. Current medical treatments have helped many autistic people communicate better with family and function more fully in society. Many supporters of autism cures view cures as a way to help affected people live fuller lives. Many people with autism believe that removing all symptoms would eliminate their personality. They view autism as a difference, not a disability. They argue that this difference is neurodiversity, which should be respected as a normal human difference. Supporters of autism identity argue that is an injustice to remove symptoms, which are part of self-expression. 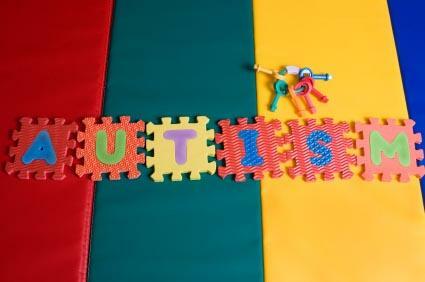 They see a cure as a way to force autistic people into a socially acceptable mold. Autism rights activist Jim Sinclair, founder of Autism Network International, writes about identity in an essay. Sinclair wrote, "Don't mourn for us…It is not possible to separate the autism from the person. Therefore, when parents say, 'I wish my child did not have autism,' what they're really saying is, 'I wish the autistic child I have did not exist and I had a different (non-autistic) child instead'…This is what we hear when you mourn over our existence. This is what we hear when you pray for a cure. This is what we know, when you tell us of your fondest hopes and dreams for us: that your greatest wish is that one day we will cease to be and strangers you can love will move in behind our faces." Sinclair presented the essay at the 1993 International Conference on Autism in Toronto, Canada. The concept of autism as identity has given birth to an autism rights movement. The autism rights movement advocates for the concept of autistic identity as a civil right. The movement protests any treatments that drastically change natural autistic expression or have harmful side effects. Many autism rights groups oppose applied behavioral analysis, claiming it forces people into insincere robotic responses. Autsm rights activist and playwright Michael John Carley, who has Asperger's syndrome, talked about the natural autistic expression, in a National Public Radio interview. Carley said, "I love the way my brain works…I like the way I think in terms of numbers, I like the way I visualize things…No, I am not changing anything." The movement protects a person with autism's right to choose not to change the things that make them autistic. The concept is growing. Now there are schools that work with people with autism without forcing treatments that change behavior. Does Anti-Cure Exclude All Treatment? There is a difference between managing symptoms and seeking a cure. Members of the autism rights movement include people who do not want any form of autism treatment and those who want to participate in selective therapies. Both groups agree that autism differences should be respected and that a person with autism has the right to choose whether to seek treatment or not. In a New York magazine article, autism right activist Temple Grandin, discussed the need for a middle ground in the debate about autism cures. Gradin comments,"I won't do all the neurotypicals (nonautistic) want, but you have to go halfway…We had fancy dinners at my grandmother's and I was expected to sit at Granny's table for 20 minutes and I couldn't monopolize the conversation…Autism is a continuum from genius to extremely handicapped. If you get rid of all the autism genetics, you get rid of scientists, musicians, mathematicians…The problem is, you talk to parents with a low-functioning kid, who've got a teenager who still goes to the bathroom in his pants and who's biting himself all the time…It would be nice if you could prevent the most severe forms of nonverbal autism." Supporters of autism research for cures argue that the anti-cure perspective does not consider low-functioning autism. They argue that treatment is necessary to prevent self-harming behavior and destructive actions. Supporters of the quest for a cure also point out that many low and high functioning autistic people are responding to current medical treatments and therapies. They believe that a cure will improve, not harm, a person with autism's life. The blogger on Facing Autism in New Brunswick has an 11-year-old son with low-functioning autism and strongly supports searching for an autism cure. The blogger writes, "With ABA (applied behavioral analysis) we are able to communicate at a basic level with Conor and he has learned some basic reading, writing and math skills…We have also been able to modify his self aggressive behavior using ABA and the knowledge of what environmental factors are likely to prompt frustration and self aggression." Should Autism Be Cured Or Not? Should autism be cured? The autism community provides many different answers to this complex question. The debate reveals the need for more discussion and more research. Despite the debate, the autism community agrees that people with autism should be respected and allowed to live a life with dignity.